Here's what you've been craving: a battery-powered Orange. 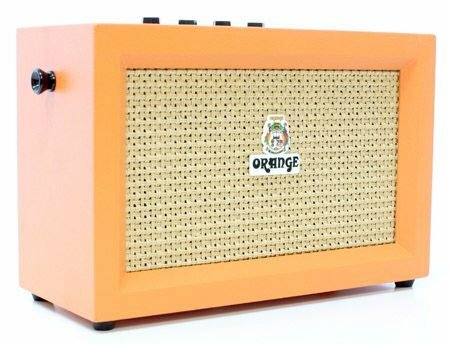 Nay, a battery-powered STEREO Orange. And, that's exactly what the awesomely compact GC6S Stereo Micro CRUSH PiX is! Plug your favorite axe into this 6-watt combo and you'll love the tones you get out of it. Go from clean to crunchy. Plug in headphones, for nighttime practice. Heck, you can even plug in your favorite music player and jam along! This wee wonder pumps its stereo wattage through a pair of 4" speakers that sound WAY bigger than their size would indicate. Plus, you get real wood cabinet construction and, yes, those eye-popping Orange looks. Take killer guitar tones with you!